Evergreen is the peaceful, idyllic home for a bustling traveler community. It is home to Patrick Ryan, the figurehead of the community; home to Aidan McCleary, Patrick’s mentor and friend; home to scores of youngsters and generations of families. But now Evergreen is also home to a sadistic serial killer, someone who is targeting the youngsters of this once peaceful community. They know the killer lives among them, know that one of their own is tearing this small community apart. They want to deal with it themselves, to track down the killer and deliver their own justice, but can they find him before he rips their home apart? Evergreen is a serial killer thriller/whodunnit with a macabre and sinister slant. A book not for the faint hearted. I received a free copy of this novel in exchange for my honest review. Patrick Ryan has lived in Evergreen his entire life and is considered a pillar in this small community. Losing his father at an early age then his mother’s subsequent abandonment, Aidan McCleary spent his days looking after Patrick. Now there’s a serial killer lurking in their community. While others are suggesting they call the police, Patrick refuses and is convinced it’s one of their own. Will he be able to find the killer before it’s too late? What happens when secrets are revealed? Although this novella was only 100 pages, it certainly is gripping. The book kept me engrossed until the very end. The scary part that took me aback was the brutality of the townspeople. This is a novel is one you don’t want to read in the dark. Evergreen is one of the best horror stories I’ve read in a very long time. 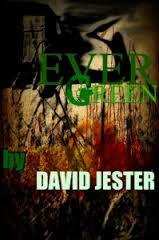 David Jester is the pseudonym of a novelist and short story writer living in the North East of England. 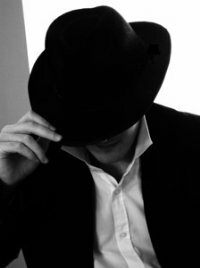 Author of several comedy and horror titles including the best selling comedy An Idiot in Love and the Forever After series.